On occasion I do accept forms of cash advertising, sponsorship, paid insertions or other forms of compensation. This blog abides by word of mouth marketing standards. I believe in honesty of relationship, opinion and identity. The compensation received may influence the advertising content, topics or posts made in this blog. That content, advertising space or post will be clearly identified as paid or sponsored content. On occasion I may be compensated to provide opinion on products, services, websites and various other topics. Even though I may receive compensation for posts or advertisements, I will always give my honest opinions, findings, beliefs, or experiences on those topics or products. The views and opinions expressed on this blog are purely the my own. Any product claim, statistic, quote or other representation about a product or service should be verified with the manufacturer, provider or party in question. I am a participant in the Amazon Services LLC Associates Program, an affiliate advertising program designed to provide a means for sites to earn advertising fees by advertising and linking to Amazon.com. On occasion I may do a product review or recommendation and affiliate links will be included in the post. That means I will receive a commission if you click on a product link and make a purchase through that link. If you click on an affiliate link and buy something, I may receive a very small commission. It does NOT result in additional charges to you or cost you anything extra. You have my permission to “pin” images from this blog to Pinterest. 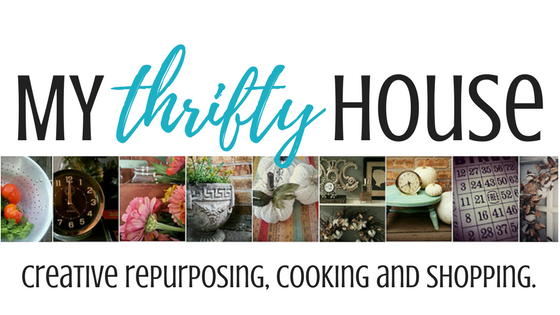 You have my permission to share posts from this blog however, you must give proper credit and link back to My Thrifty House (MTH). You may NOT use any image from this site for your own personal website or other social media outlet without permission from MTH. Please contact Denise Bryant at mythirftyhouse@gmail.com for all permission requests. Thank you! Let’s talk, but keep in mind, this is a public and open social community. User-generated comments may reflect views that are not endorsed by My Thrifty House My Thrifty House is not responsible for the perspectives, comments, recommendations or advice of any users who engage and participate. Inappropriate comments (racist, derogatory, pornographic, etc. ), sales solicitations and off topic comments will be deleted. My Thrifty House may change this policy from time to time by updating this page. You should check this page from time to time to ensure that you are happy with any changes. This policy is effective from January 1, 2016.